Very pretty light lilac with dark orange, almost red bushy stigma. 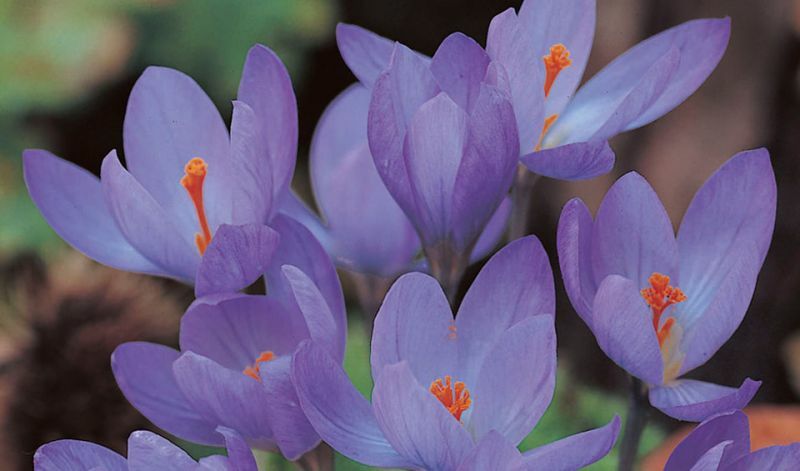 It is also a 'saffron' crocus. Dark green leaves appear in Winter after the flowers are long gone.